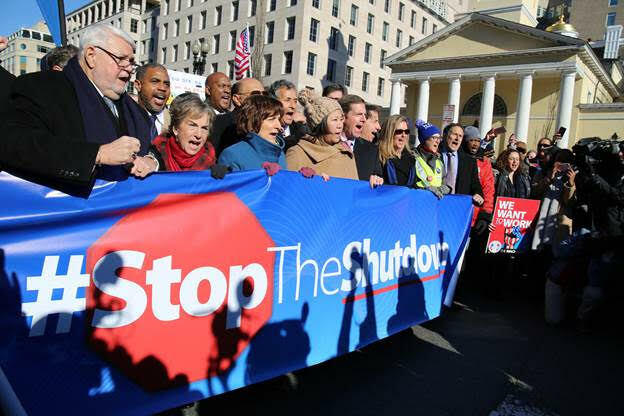 On the 20th day of the partial government shutdown, members of Hawaiʻi’s congressional delegation today rallied and marched in solidarity with federal employees, who have been furloughed or forced to work without pay. 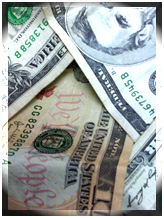 More than 800,000 federal employees in Hawai‘i and across the country are affected. Rep. Tulsi Gabbard (HI-02) and US Senator Mazie K. Hirono (D-Hawaiʻi) joined members of dozens of unions, including the AFL-CIO, the American Federation of Government Employees, the International Brotherhood of Electrical Workers, National Nurses United, and Teamsters, in a rally and march from the AFL-CIO headquarters to the White House. 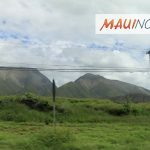 In December, Senator Hirono announced she would donate pay she receives during the partial government shutdown to food banks in all four counties across Hawaiʻi. Yesterday, Senator Hirono spoke on the Senate floor, calling on Senator McConnell to bring forward legislation that would reopen the government. 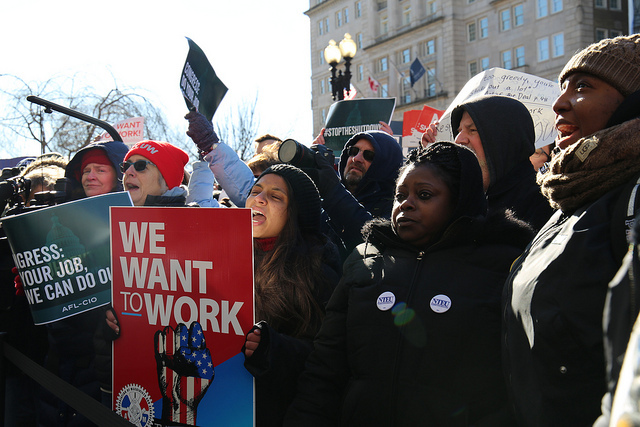 Today, the Senate unanimously passed S. 24, the Government Employee Fair Treatment Act, which would provide back pay for federal workers affected by the shutdown. Senator Hirono was an original cosponsor of the bill. 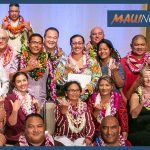 Meantime, US Senator Brian Schatz (D-Hawai‘i) announced that the US Senate unanimously passed the Government Employee Fair Treatment Act. 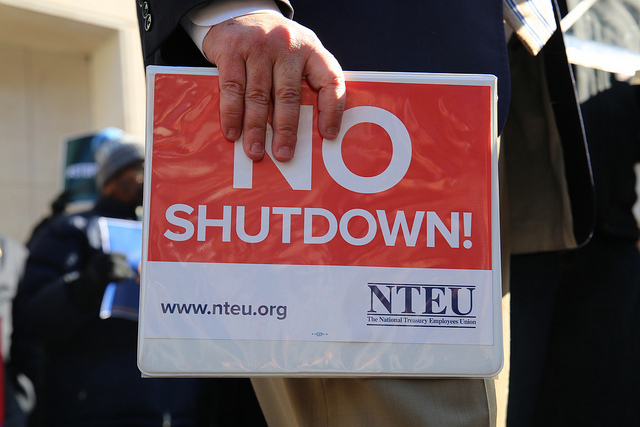 The legislation, cosponsored by Sen. Schatz, who is a member of the Senate Appropriations Committee, will make sure federal employees who are required to work during the government shutdown are given full back pay once the shutdown has ended. Earlier this week, Senator Schatz introduced the Federal Employee Civil Relief Act, new legislation that would protect federal workers and their families from foreclosures, evictions, and loan defaults during a government shutdown. 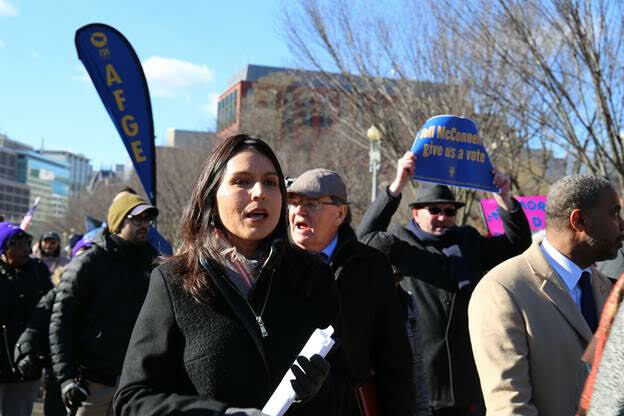 On the 20th day of the partial government shutdown, Rep. Tulsi Gabbard (HI-02) today rallied and marched in solidarity with federal employees, who have been furloughed or forced to work without pay. Courtesy photo. 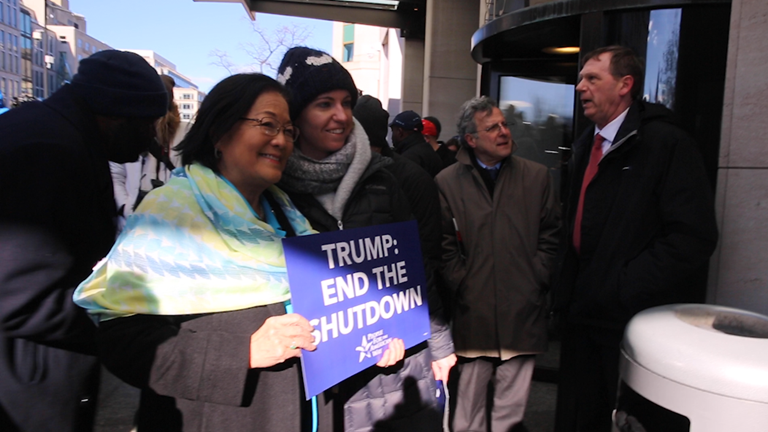 Senator Mazie K. Hirono (D-Hawaii) joined hundreds of furloughed federal employees who are members of more than 20 labor unions at a rally to call on President Donald Trump and Majority Leader Mitch McConnell (R-Ky.) to end the government shutdown. Courtesy photo. 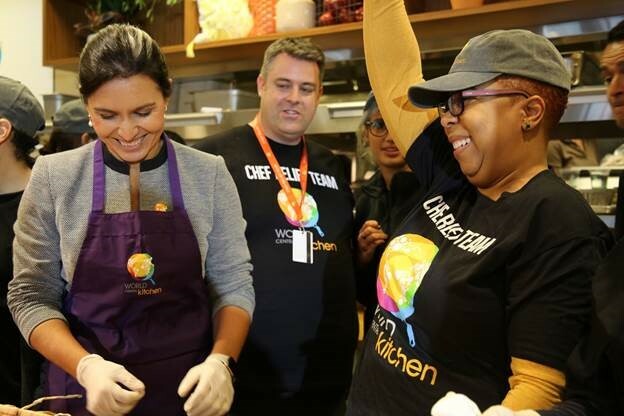 Rep. Tulsi Gabbard Marches with Federal Workers Demanding an End to the Government Shutdown. PC: Rep. Tulsi Gabbard. Rep. Tulsi Gabbard Marches with Federal Workers Demanding an End to the Government Shutdown. PC: US Rep. Tulsi Gabbard.